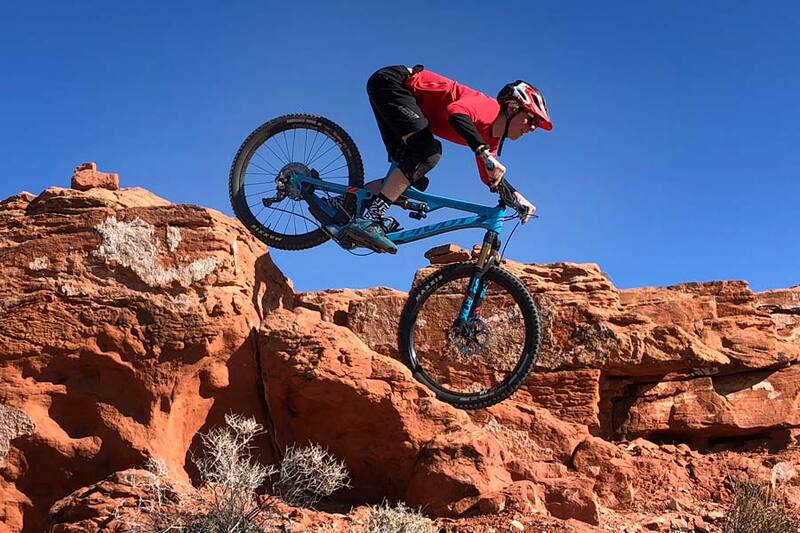 The evolution of the trail bike over the last few years has taken some dramatic leaps via engineering, the ease of prototyping and materials. 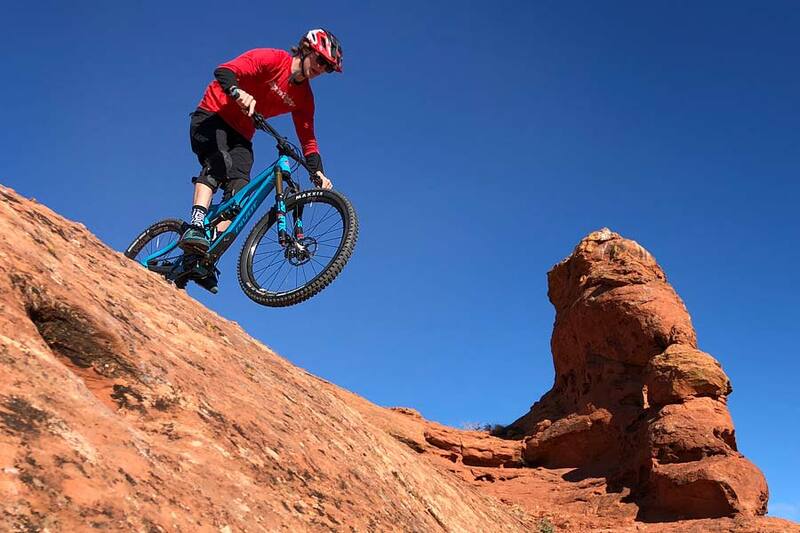 Several manufactures have adopted a pragmatic philosophy geared towards producing the ideal mountain bike. The Mach 6 Carbon is Pivot’s latest species in the family of full-suspension quiver killers. Will work for cold hard cash, sushi, Hawaiian shirts and/or bucket hats. 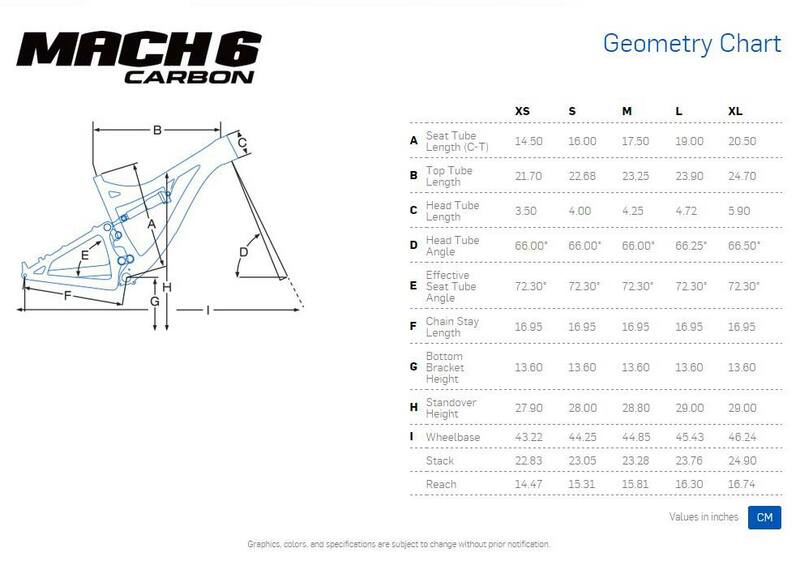 Click on the Pivot Mach 6 geometry chart to enlarge it. Extra Small 4’11" – 5’4” 27.9"
Small 5’3" – 5’6” 28.0"
Medium 5’6” – 5’11” 28.8"
Large 5’10” – 6’3” 29.0"
Extra Large 6’2” + 29.0"
The modern geometry on this bike checks all the boxes for performance and efficiency. The wheelbase on our large measures 45.43 inches. 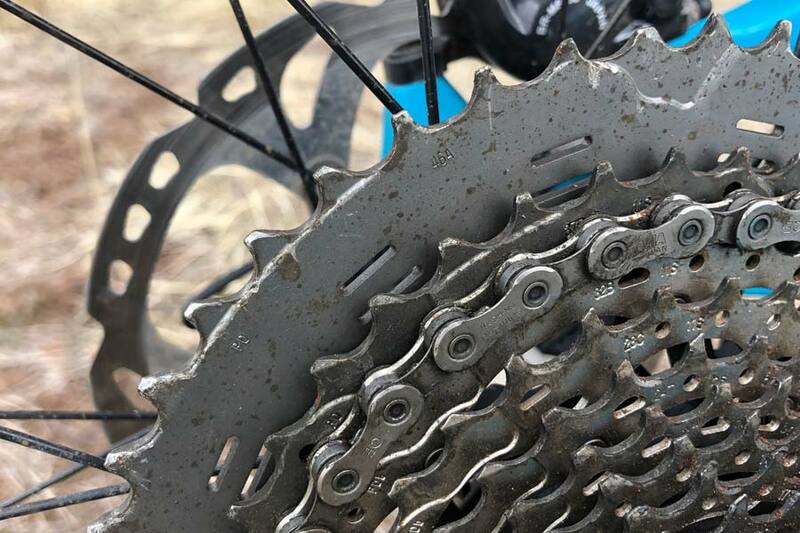 A chain stay length of 16.95 inches is common across all sizes from XS – XL and the large frame sports a 66.25º head tube angle. Each size also has a 13.6 inch bottom bracket height. The foundation of this bike is its full carbon frame with state-of-the art materials and proprietary molding technology. 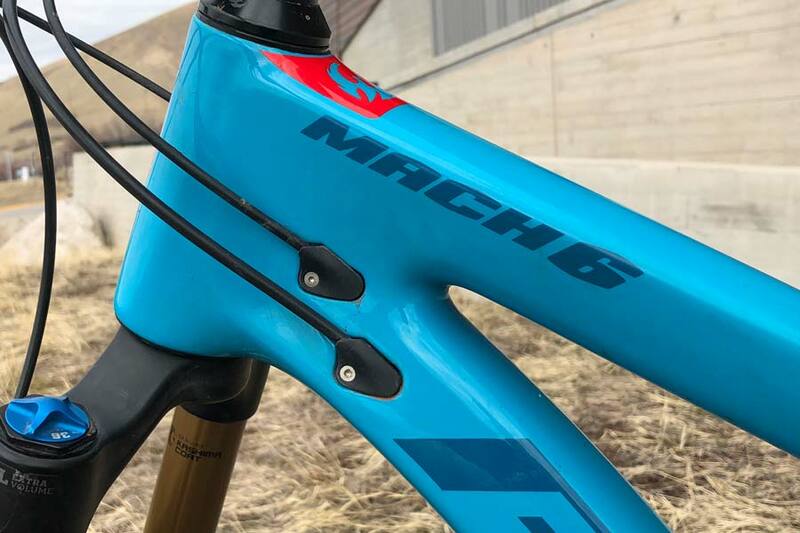 The Pivot Mach 6 double-wishbone rear triangle design with Boost spacing is borne from mechanics originating from downhill bikes. Why does this matter? The result is a stiff frame which is energy-efficient, responsive and capable of hosting wider tires. 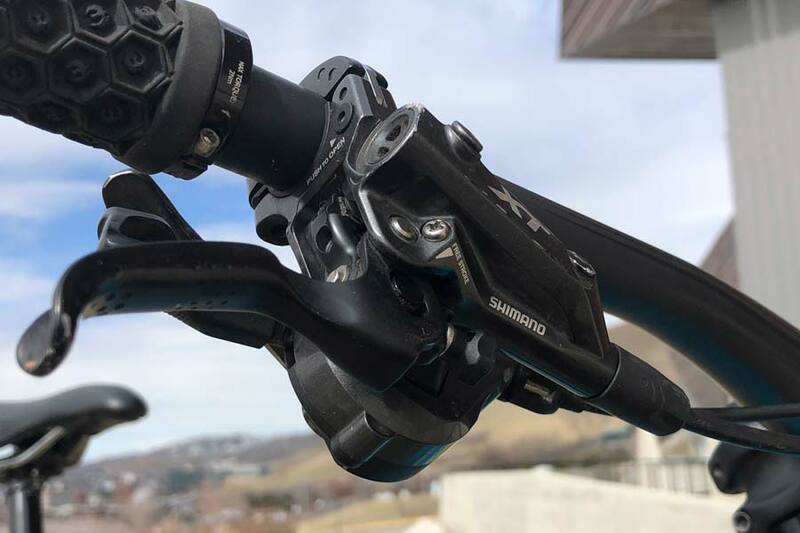 These assets carry over to the real world when when pedaling uphill as well as making split-second decisions on technical descents. A front derailleur can be added to the bike. 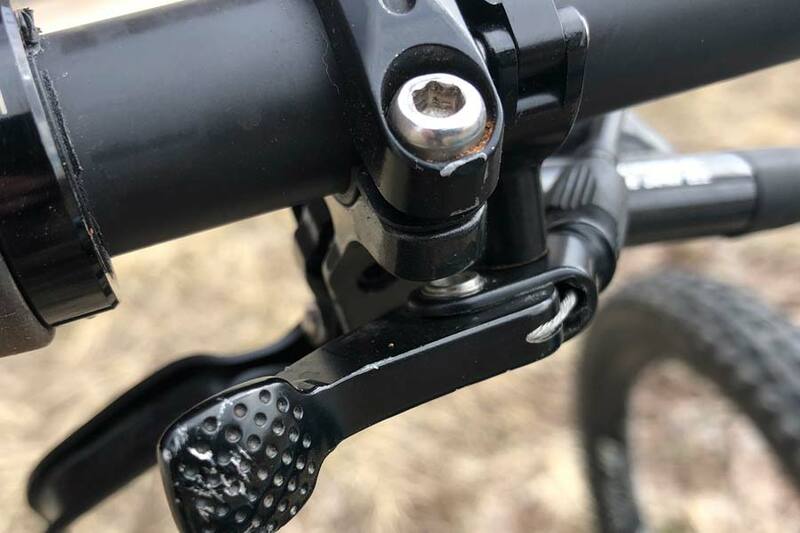 The internal cable routing is attractive and the frame is compatible with internally routed dropper posts. Best of all, a DW-Link® suspension design complements the frame’s temperament like peanut butter and jelly; like Eddie Masters and L-O-Ls. 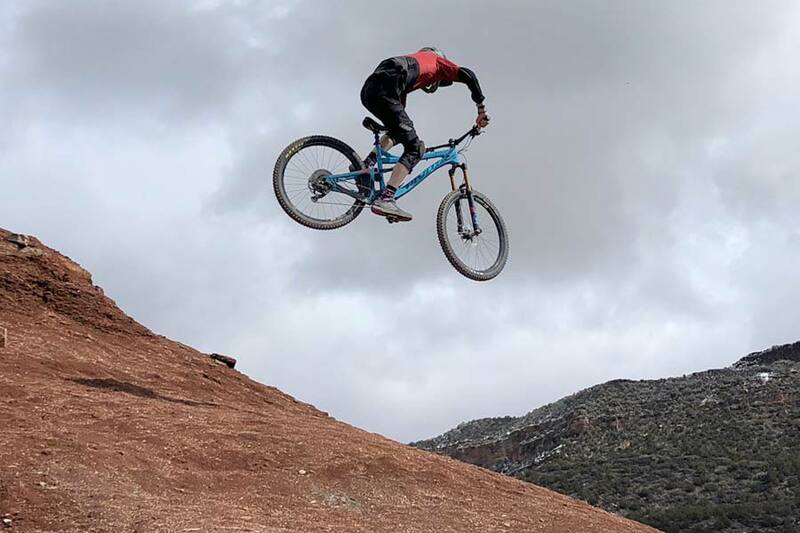 To get a bit more detailed, we spoke with Pivot Ambassador and Go-Ride rep Kris “Krispy” Baughman. 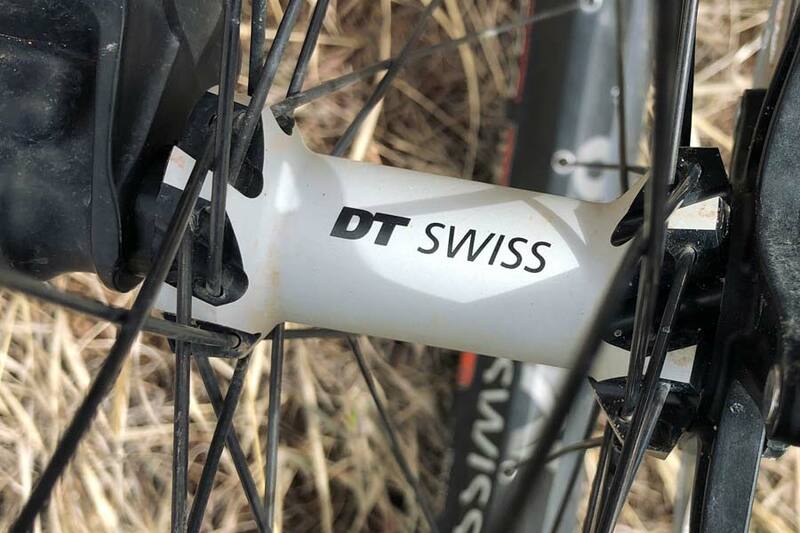 He told us, “Due to the design of the DW links and the way they fit together, it not only creates a smooth ride, it makes the bike very easy to maintain. 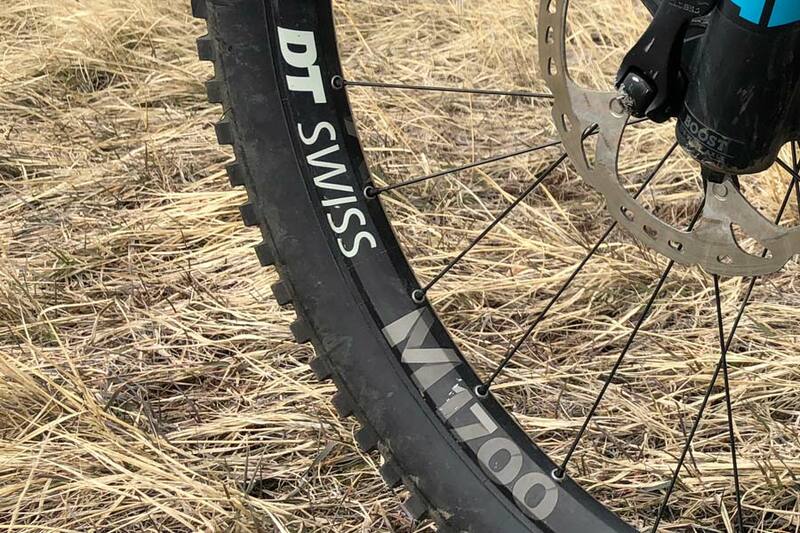 The Pivot Mach 6 Carbon comes with a DT Swiss wheel set. The 30 spoke aluminum M1700s are a solid option for this sled because of their durability and weight. The hoops are laced to DT 350 centerlock hubs and straight-pull spokes. 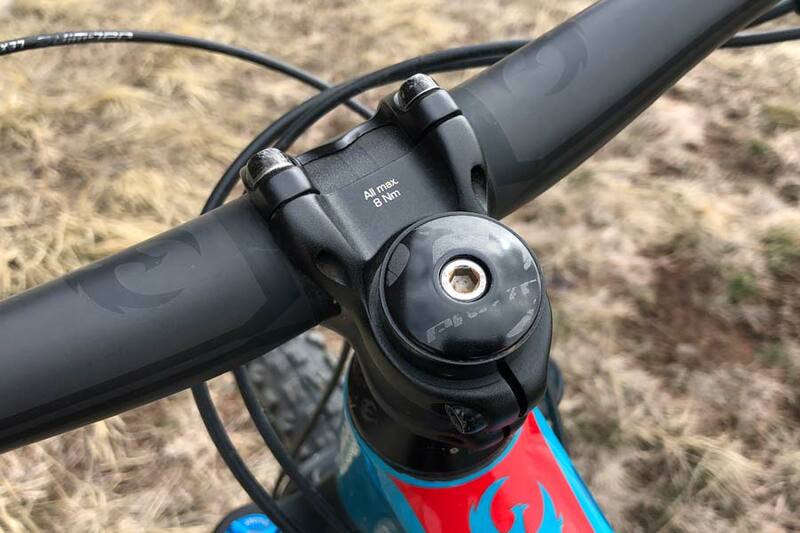 Numbers for the front hub are 15×100/110mm and rear hub measures in at 12×142/148mm. 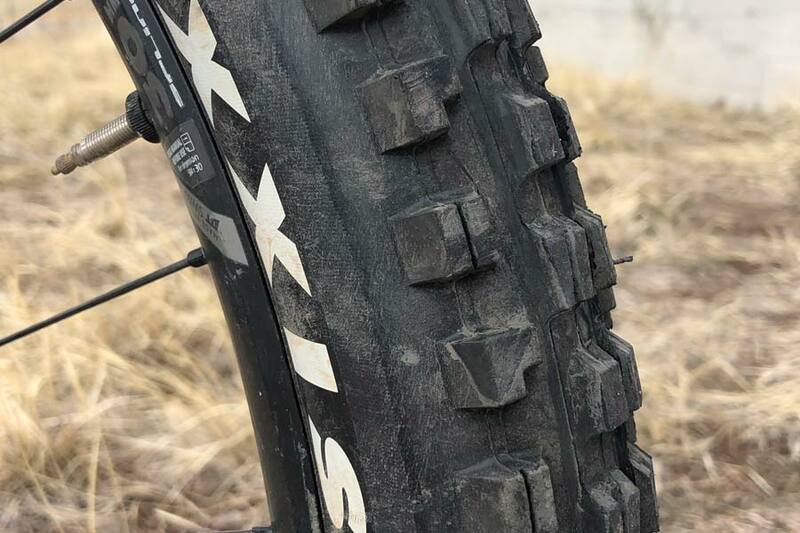 Maxxis tires on our demo were of the Minion DHR II (rear) and Minion DHF (front) flavor. Our demo was the Pro XT/XTR build and it featured the nifty 1×12 11-speed transmission with 11-46 range cassette. A 30t front chain ring mounted to a 175mm Race Face Aeffect crankset transferred power from the pedals to the ground. Shifting the bike was managed via Shimano XT M8000 11-Speed levers and silky smooth Shimano XTR GS 11-Speed rear mech. A pair of smartly designed and comfortable pair of Phoenix Team Padloc grips adorned the 815mm wide carbon bars. 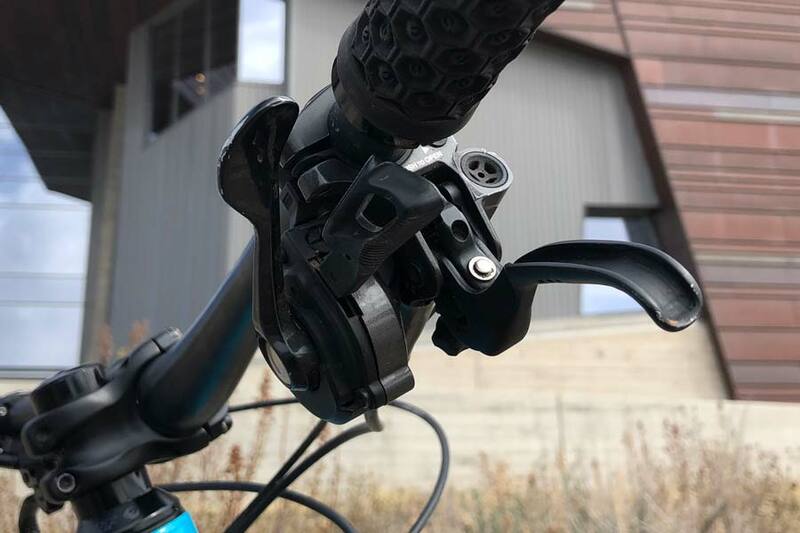 Shimano XT M-8000 brakes help slow and stop the bike along with the system’s center lock rotors. 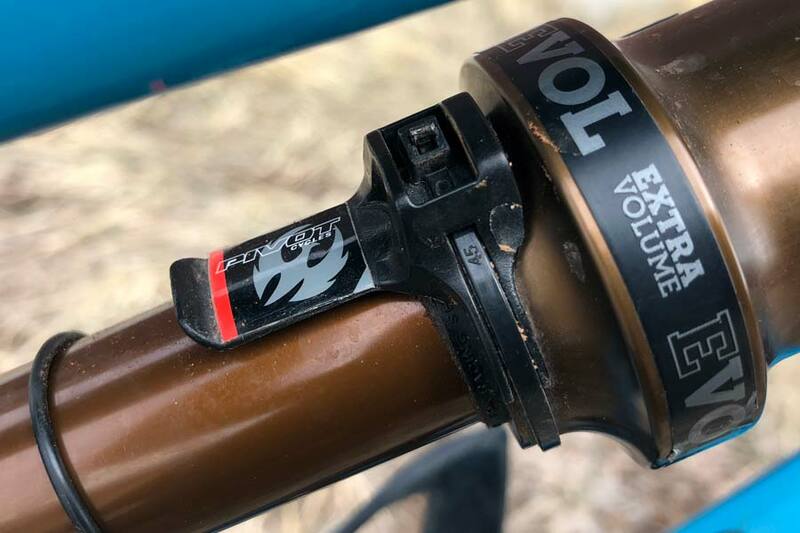 The 125mm Fox Transfer dropper post made the Phoenix WTB Pro Vigo saddle fall and rise. 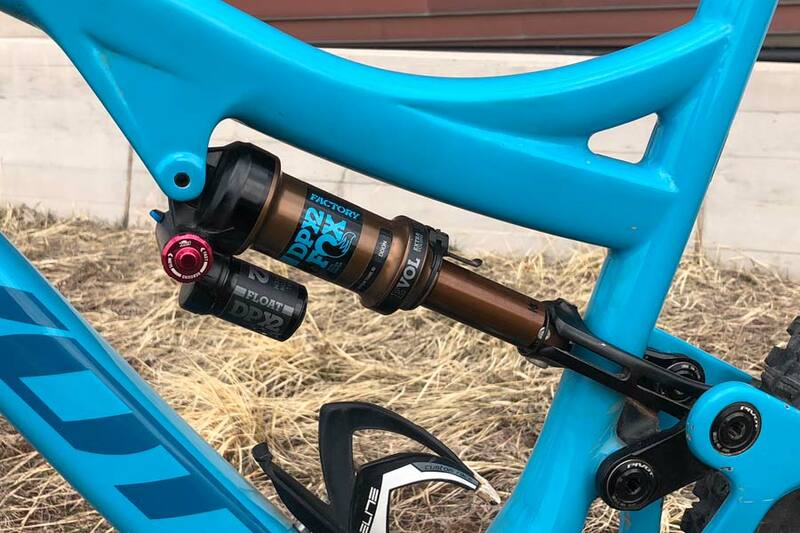 The Fox suspension on the bike features a Fox Factory 36 27.5″, 44mm offset, FIT4 – 160mm fork and Fox Factory Float DPX2 shock. Front and rear travel for the bike are both spec’d at 6.1 inches (155mm). 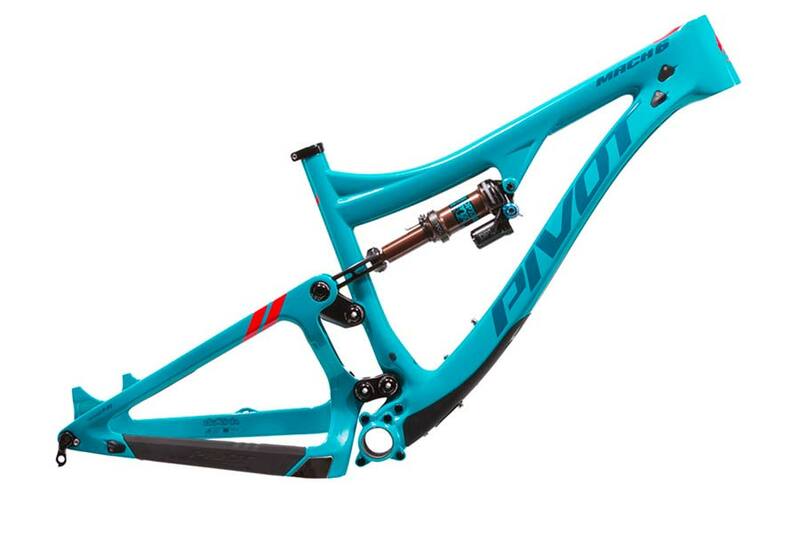 Pivot has even added a dandy of a feature called the ‘Pivot Sag Indicator’ to the rear shock. The goal of this little endeavor is to assist you with tuning the rear shock to your weight. 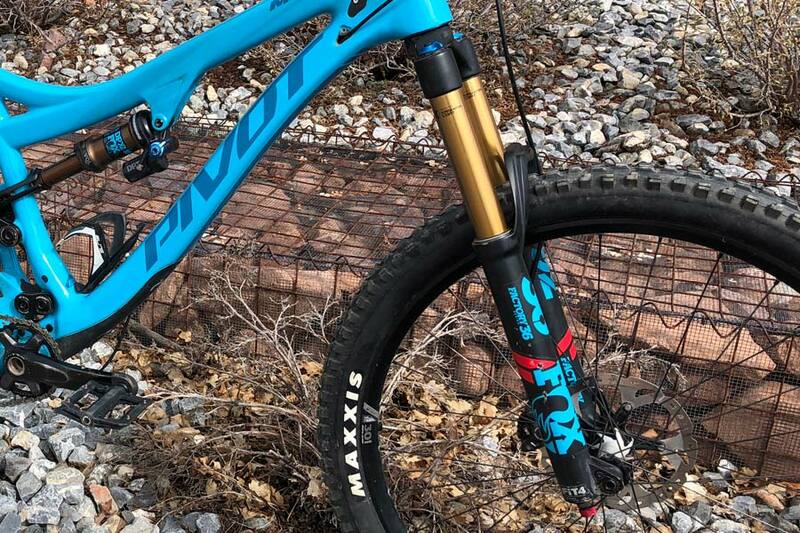 The Fox 36 Fork on the Pivot Mach 6 Carbon offers 6.1 inches of Kashima coated travel. Tune it correctly for a plush, responsive ride. We kept a shock pump handy to get this thing dialed. It worked as good as it looks and it provided great traction while climbing. 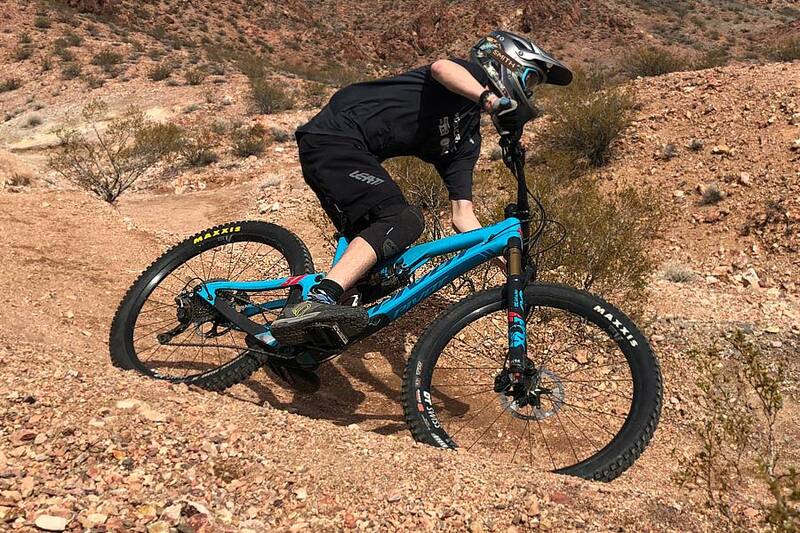 We learned that DW designs its linkage specifically for Pivot’s catalog of bikes. The result provides for an efficient, versatile riding experience. 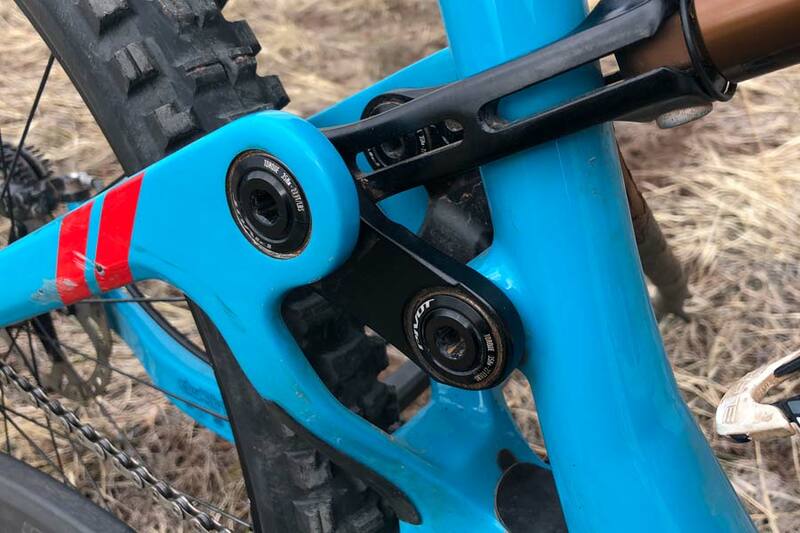 This is a really clever way of fine-tuning the sag on the rear shock. Bernard Kerr takes you through how to do it in this D-I-Y video. 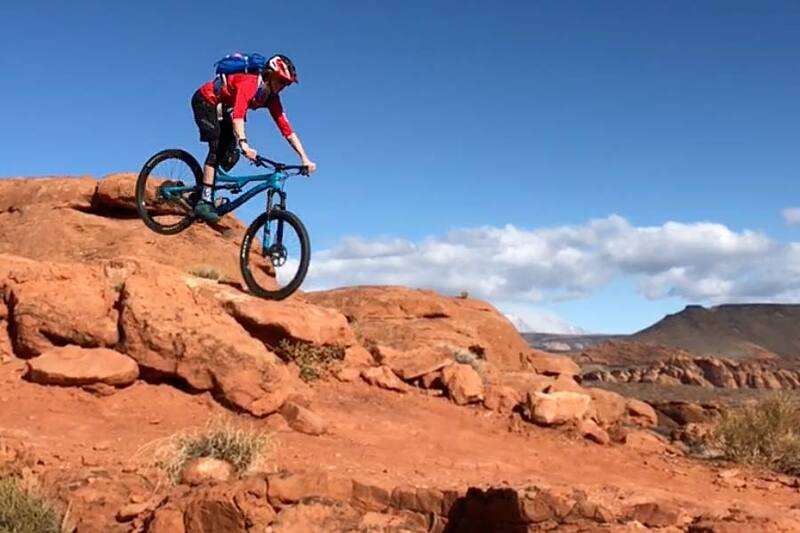 Our first outing on the bike was to St. George, Utah where we rode the 6 mile long Barrel Roll trail. 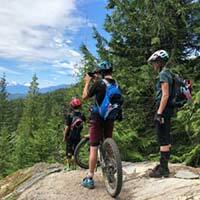 This trail undulates with a max elevation gain of about 300 feet and features expert rated technical climbs and descents. It was the perfect initial testing ground because the Mach 6 began to showcase its versatility right from the trail head. Turtle Wall and Paradise Rim were also on the itinerary. The carbon frame, DW-Link suspension, and dropper post all work together to make cranking uphill a pleasant chore. 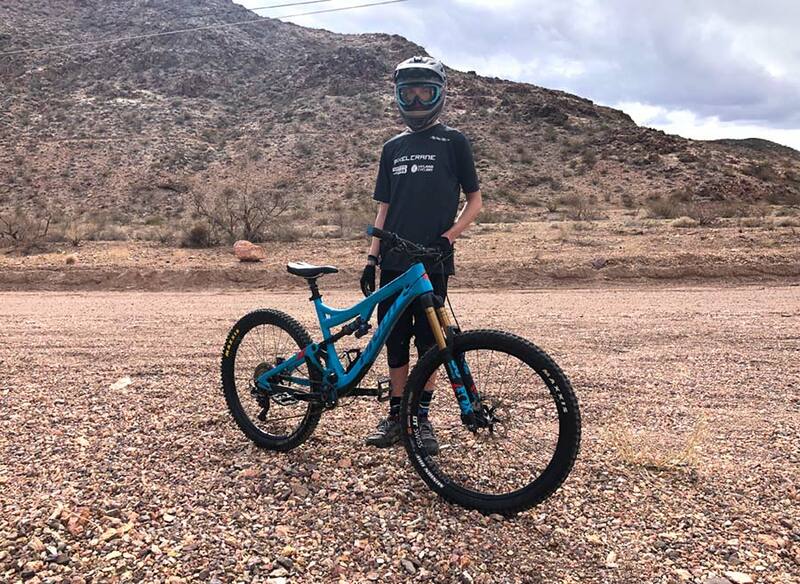 Wyatt was able to move the bike through all 3 axes of rotation in order to attack a series of ascending rock steps, narrow corridor, or hairpin turn on the trail. Descending the trail on this bike was simply free money; because again, the bike’s geometry and suspension worked in concert. 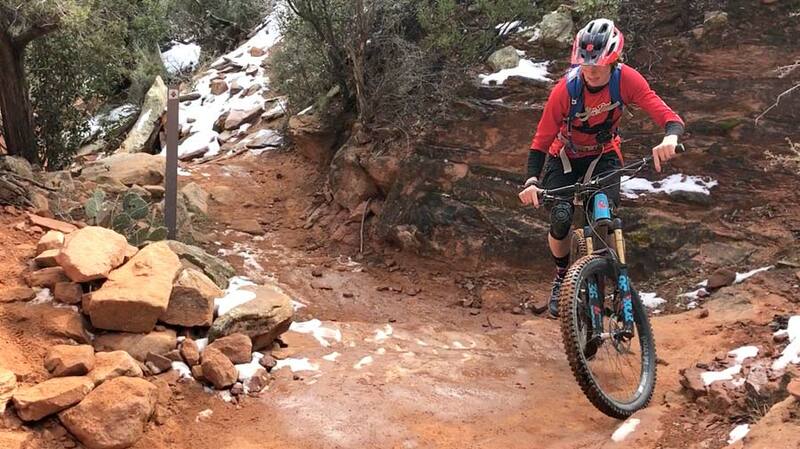 We dialed things up a notch and rode some more advanced terrain in Sedona. Even if you’re a capable rider, the bike will continue to inspire calm and cool confidence. 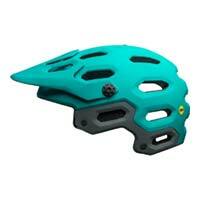 The Pivot Mach 6 Carbon partnered with the Hiline Trail like a margarita and your favorite molé. Getting to the downhill section of Hiline requires a bit of work via technical ascending and the bike did not hold our rider back at all. 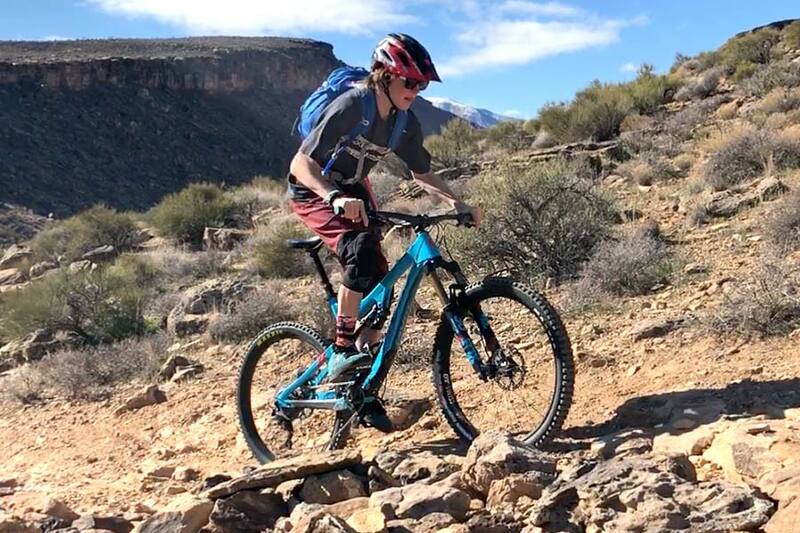 Wyatt was able to onsight Hiline’s descents and leave me in the dust. I’d love to share some photos of this ride with you, but really – the kid got in a state of flow and simply could not stop. After chalking up some aggressive trail riding, it was time to hit full-on downhill terrain with the Mach 6. 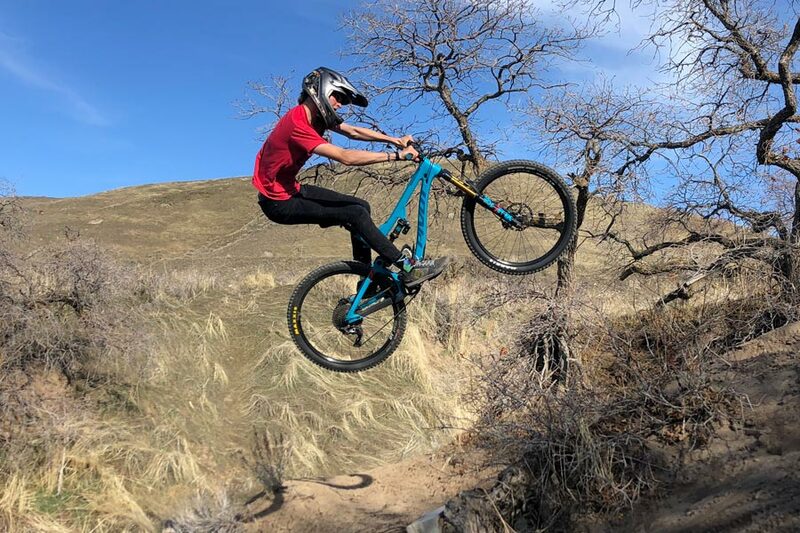 During the winter months, our favorite local trails are covered in feet of snow so we had to continue our travels in order to see if we could break this bike. 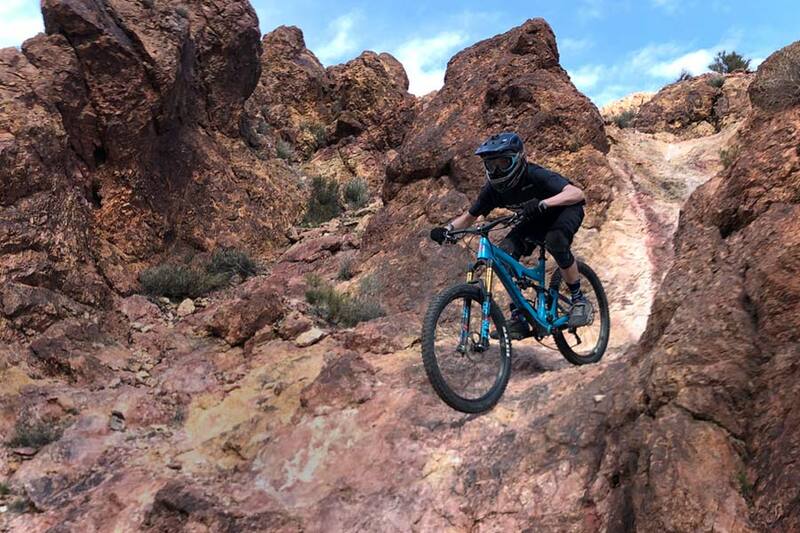 Nevada’s Bootleg Canyon Mountain Bike Park is a great zone to see how durable your bike really is. 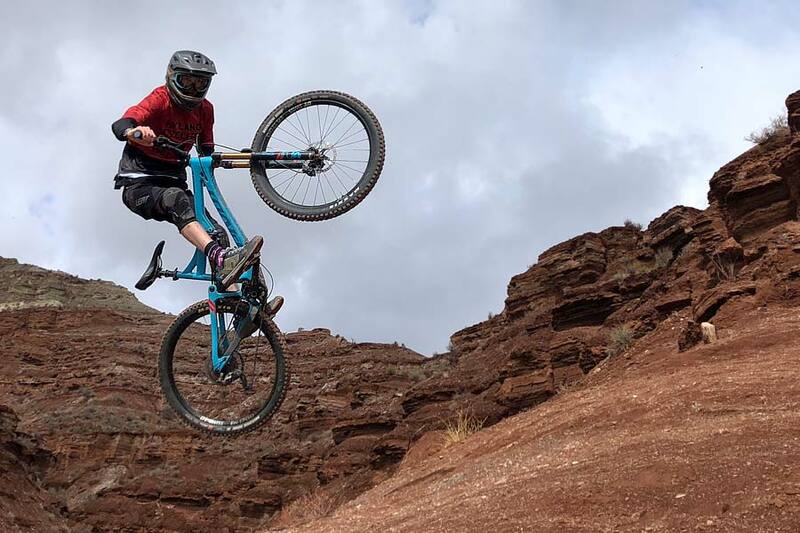 In our experiences at Bootleg, we have had to replace wheels, derailleurs, and tires because of the area’s hard, sharp rocks. And this is just on the intermediate trails. Following a warm-up run, we shuttled to the top of Snakeback and let loose. The Mach 6 carbon once more flaunted its functionality. The overall configuration of the bike was again happy to strike off-camber, sharp rocks at speed. The Mach 6 scrambled over abrupt technical terrain as surefooted as the canyon’s bighorn sheep. 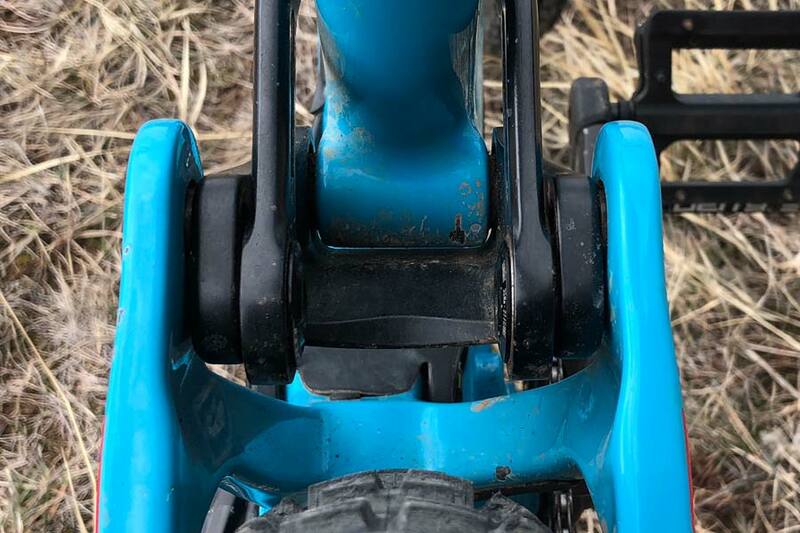 The Maxxis tires performed admirably on loose gravel in the turns on the bike park’s dual slalom course. 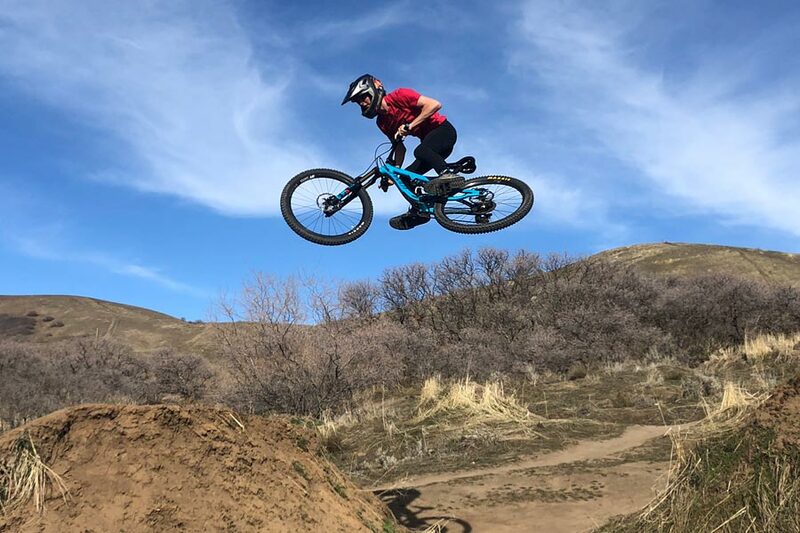 Wyatt said, “Getting the bike in the air is a lot of fun. Again, the suspension allows you to make small mistakes without big consequences.” Is it really cliché if it’s true? The bike IS flickable. The bike IS playful. 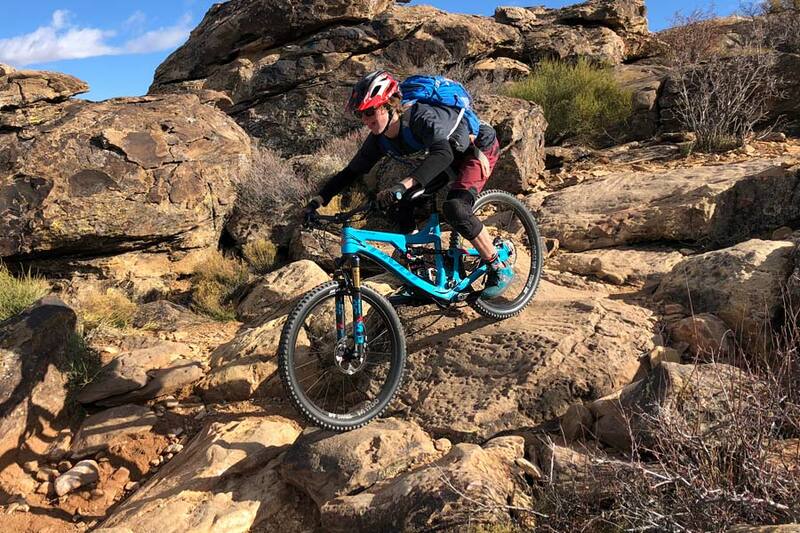 After carefully selecting the design and engineering characteristics that have made other bikes in the Pivot catalog successful, the company has evolved the Mach 6 carbon into lively and witty bike. There’s just no other way to say it. Whether you’re churning out the watts to get to the top of the next hill or bombing down technical terrain – the Mach 6 carbon yearns to help you build and release the kinetic energy that makes this sport so rewarding and fun. 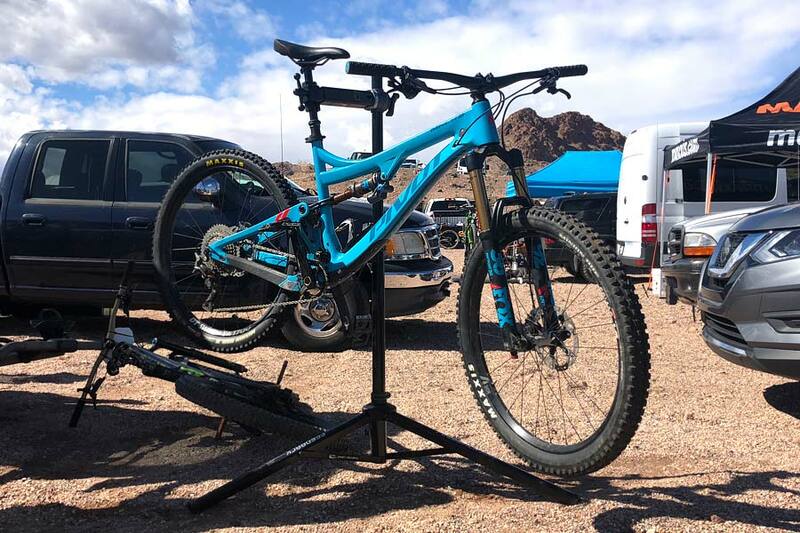 The Pivot techies are just as concerned about the ride up the mountain as the ride down and it’s all on display with this bike. 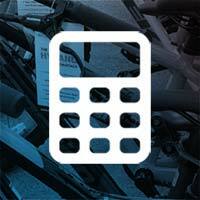 Furthermore, we’re convinced that Pivot Cycles is nothing less than a team of number crunchers who like to get loose. And because they have families of their own, they even went the extra mile to create a size range of bikes that most other manufacturers do not match. 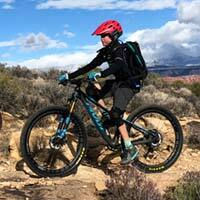 This allows your entire family to enjoy higher, longer and faster rides together on premium mountain bikes.